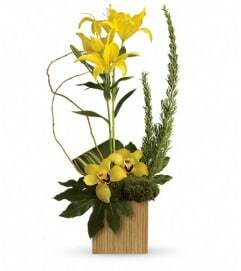 With their beak-like appearance, spiky birds of paradise look like winged creature poised for flight! 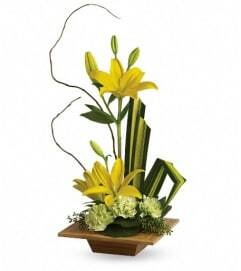 Matched with fresh flowers, leaves and equisetum - and arranged into a striking presentation - they create a gift that's sure to impress. 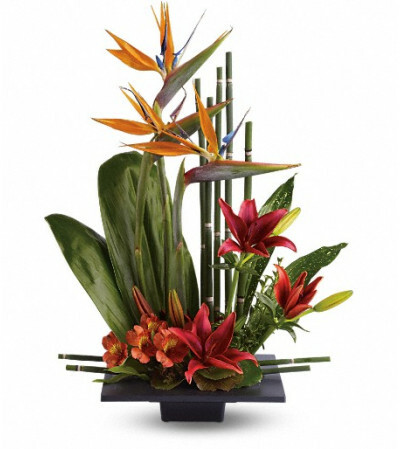 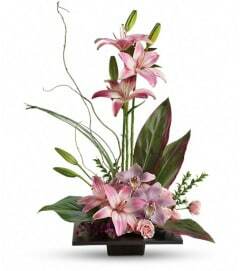 Birds of paradise are arranged with Asiatic lilies and alstroemeria in shades of burgundy and orange - plus hypericum, galax and ti leaves, equisetum and moss - and delivered in a square black container.